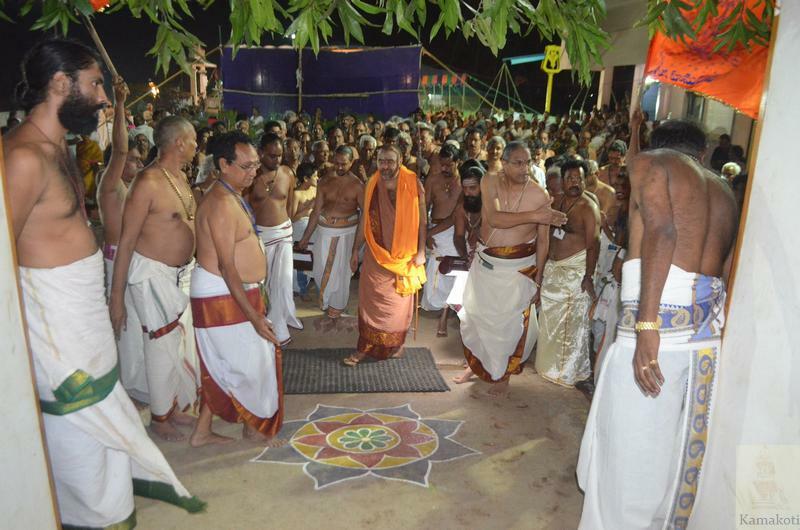 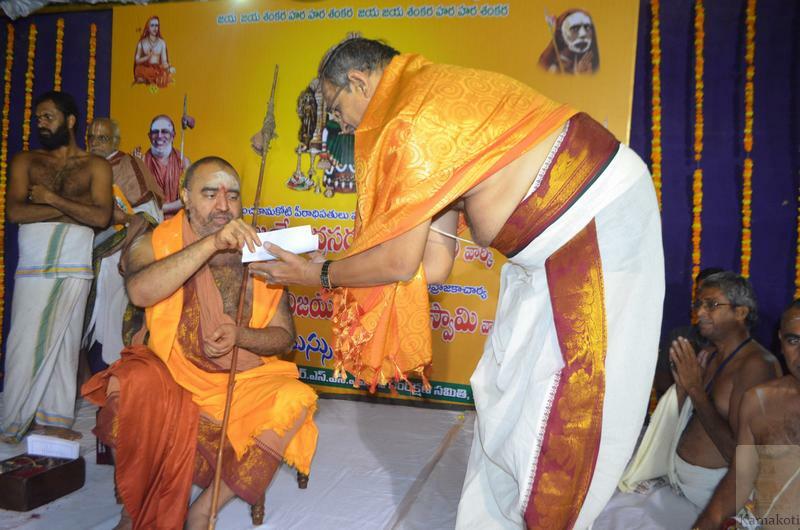 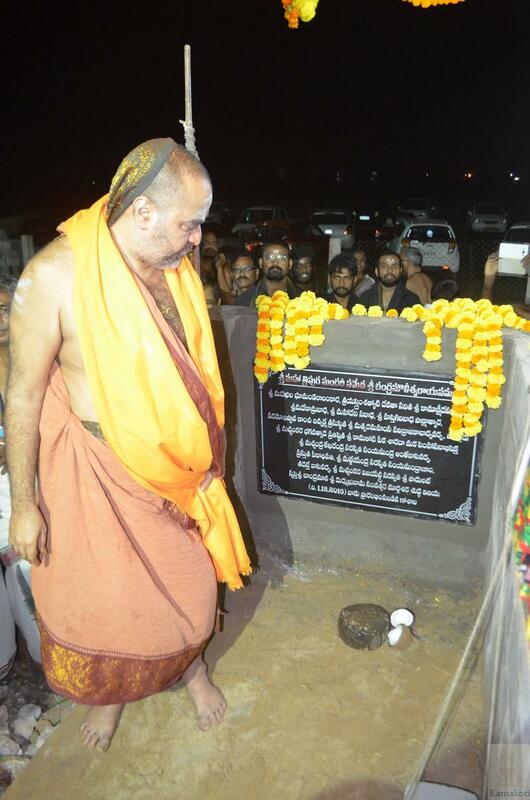 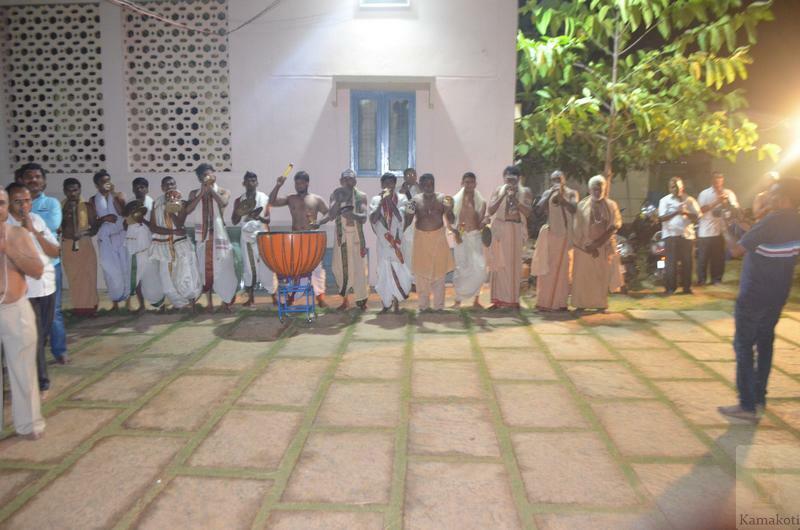 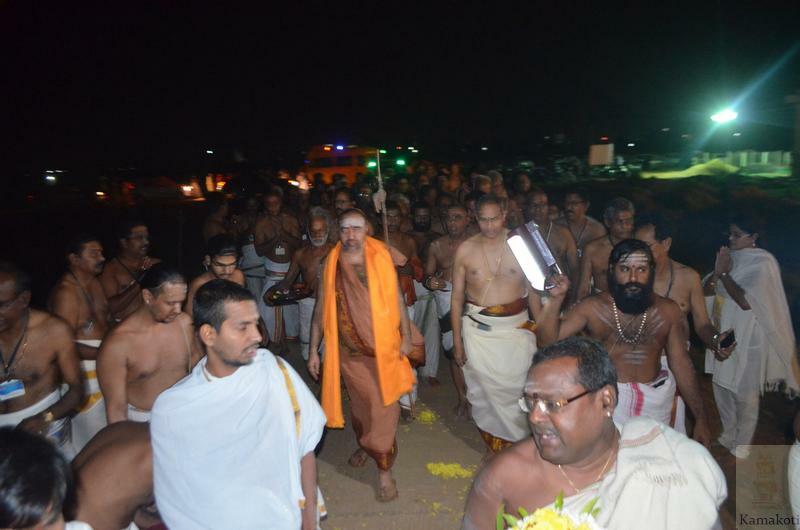 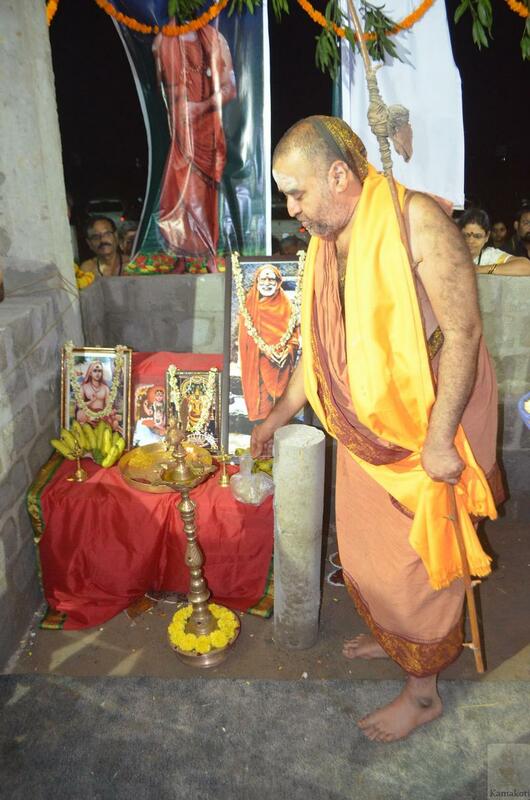 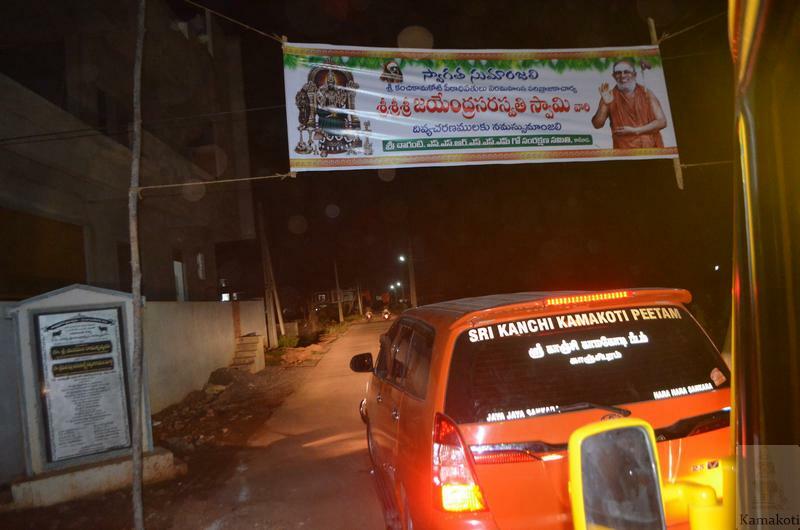 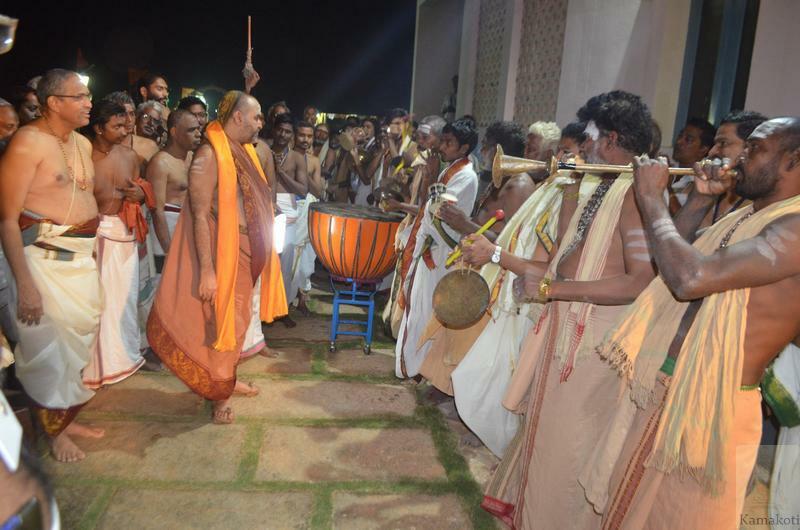 His Holiness Pujyashri Shankara Vijayendra Saraswathi Shankaracharya Swamigal visited Goshala at Kakinada. 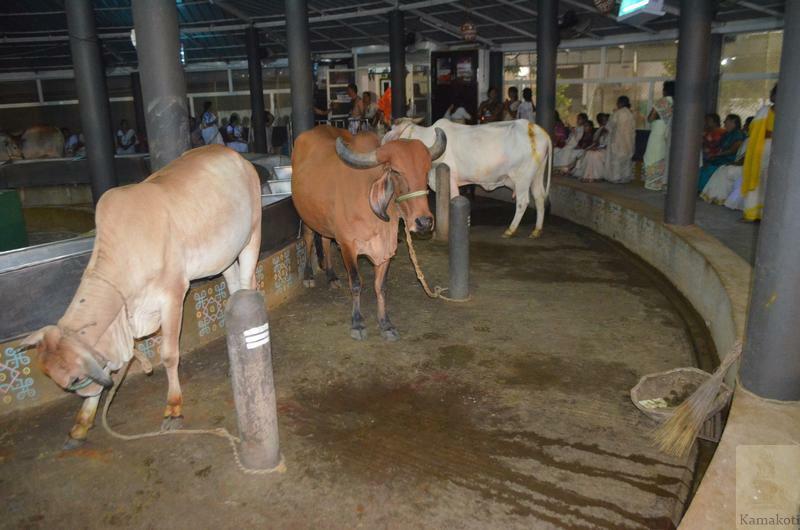 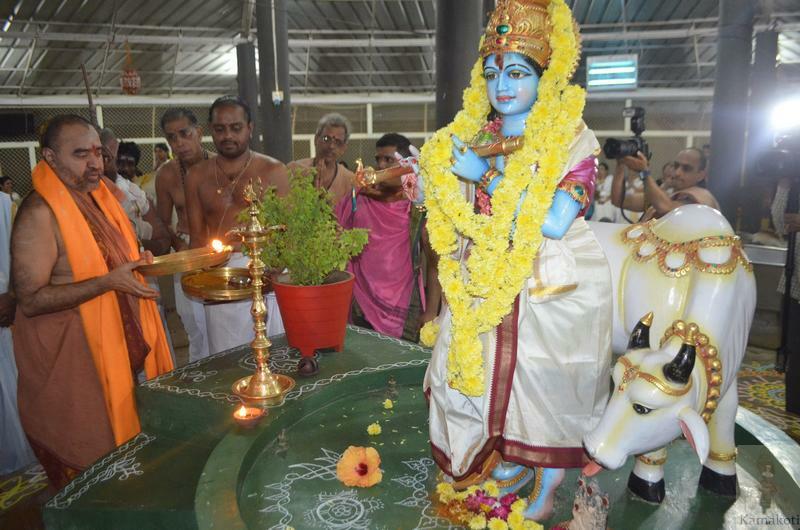 The Goshala has been set up set up by Shri Chaganti Koteeshwar Rao in a serene atmosphere with use of modern & traditional practices for Go-Seva. 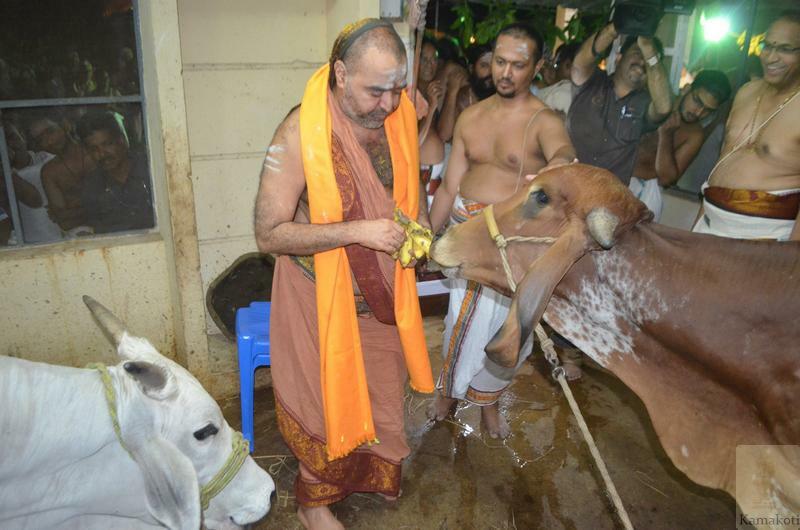 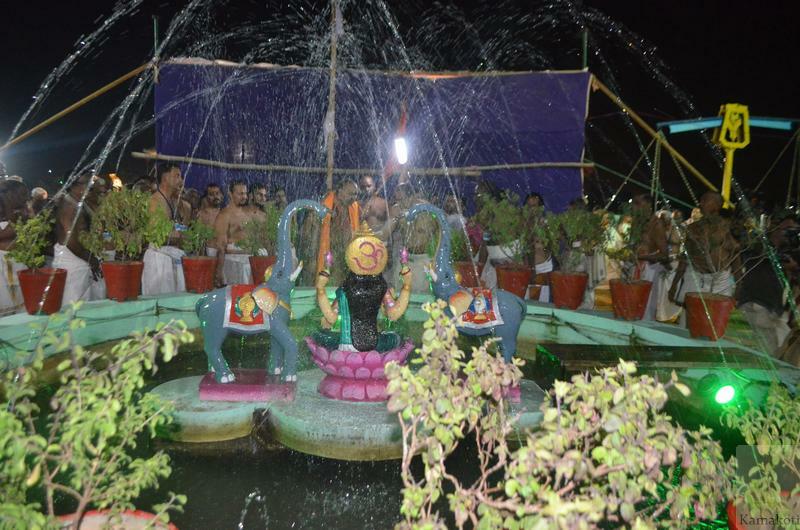 Also Pradakshina Marga & Graasa Pradaana (giving grass) facilities has been enabled for the benefit of devotees. 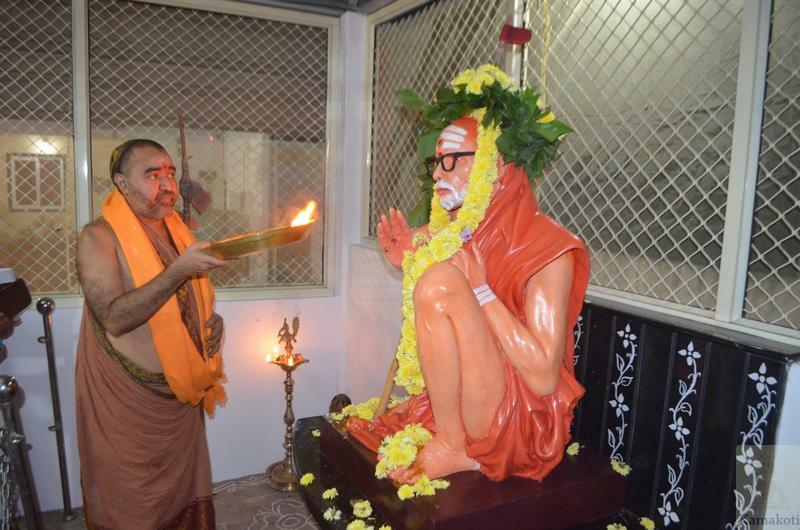 A Puja Mandap for Kanchi Paramacharya & a dhyana mandiram form part of the Goshala. 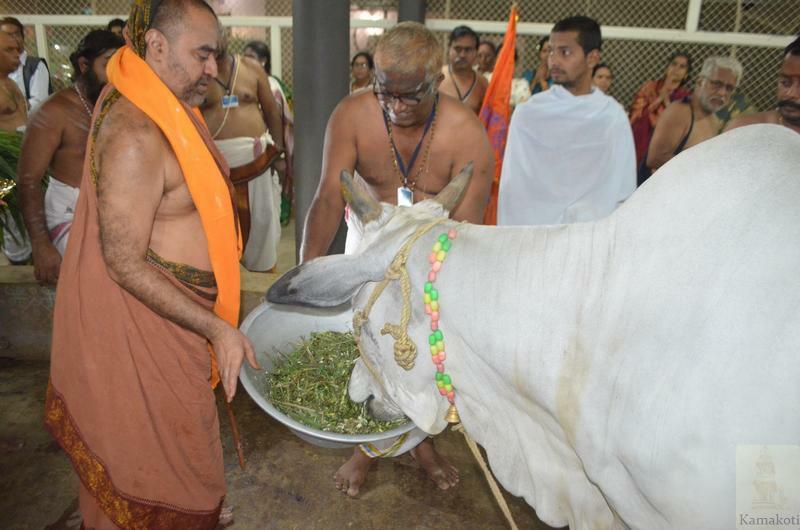 Also a Prasutika Gruha for delivering calves forms a unique part of the Goshala. 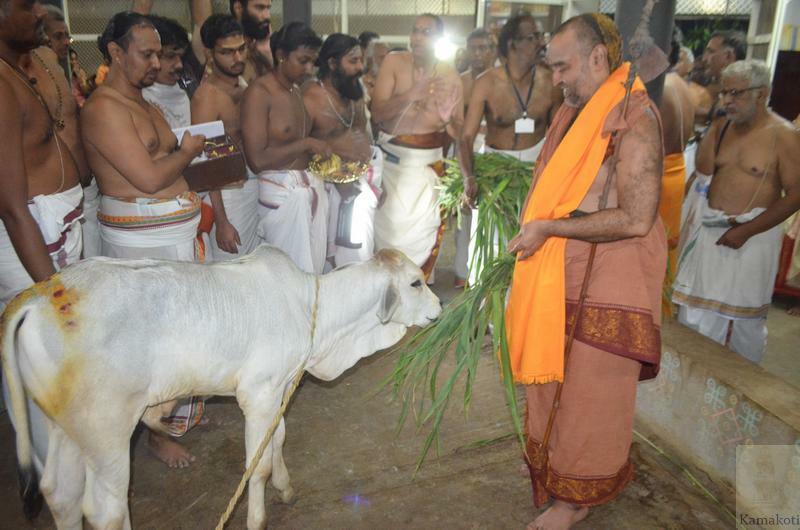 His Holiness fed the cows with green grass. 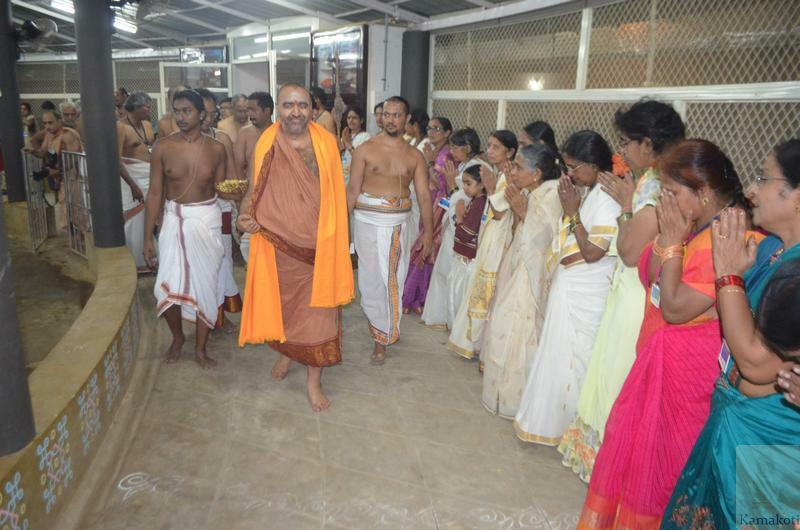 His Holiness went around the premises and blessed the devotees with Anugraha Bhashanam. 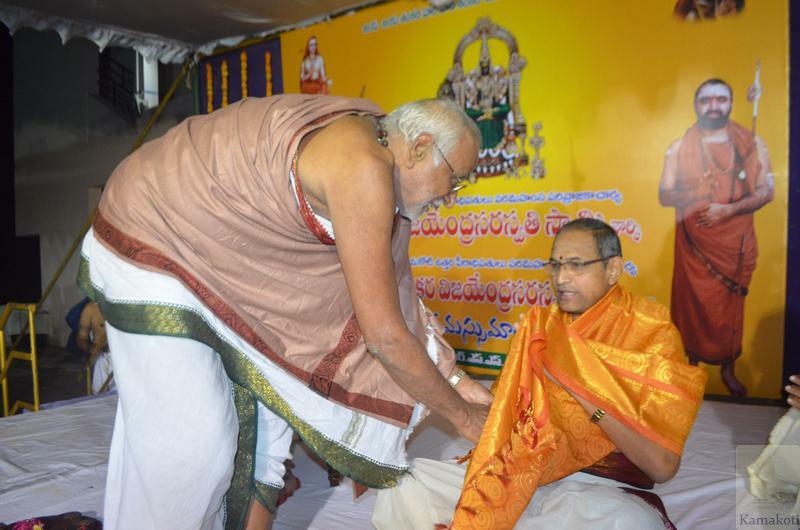 His Holiness appreciated the efforts of Shri Chaganti Koteeshwar Rao and said that Go-Samrakshanam in this novel way is a real tribute to Kanchi Acharya who always stressed for the need for cow-protection.